Cardiac arrest occurs when the heart ceases to pump blood. The victim – unconscious, not breathing, and with no blood pressure – will die unless effective resuscitative efforts are commenced immediately. 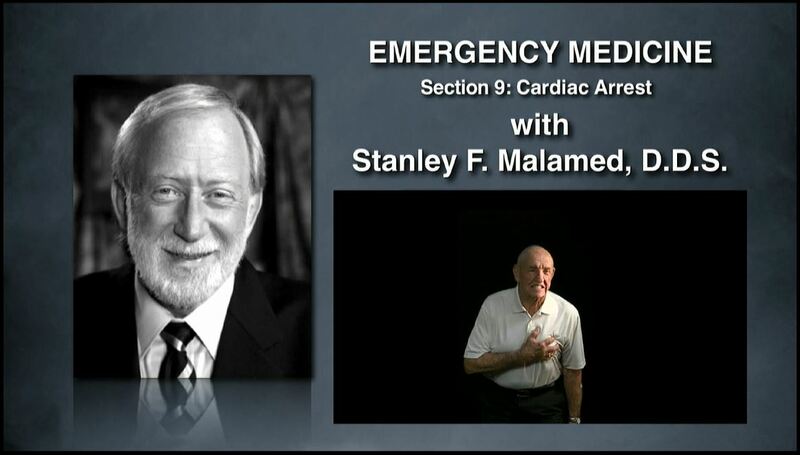 This program discusses the recognition and management of cardiac arrest emphasizing the importance of basic life support (CPR) and defibrillation (AED) in improving the chances for a successful outcome. More than 360,000 deaths from sudden cardiac arrest occur in the United States annually – approximately 1,000 every day. The causes of cardiac arrest, in both adult and pediatric patients, are reviewed along with the presenting premonitory signs & symptoms that lead to sudden cardiac arrest. Management of cardiac arrest – the successful resuscitation of the victim without brain damage – is predicated on circulating blood containing oxygen to the heart and brain and delivering an electric shock (defibrillation) as soon as possible after collapse. The use of an AED and its mechanism of action is discussed. What is a ‘heart attack’? When does AMI degenerate into SCA?